Happy 23rd Birthday to our precious Joseph!!! This is a banner I made for his birthday dinner tonight. The theme of our decor this year is Buffalo Check! : ) I’m going a little crazy with the Buffalo Check Background Stamp but I just love it! 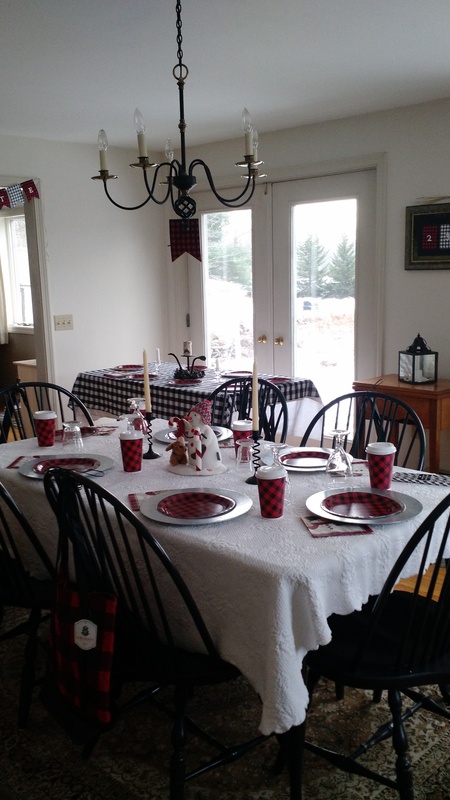 For Joseph’s party, I was able to find matching buffalo check paper goods, so it’s looking pretty festive around here! He has four of his Scouting buddies coming over, and family, so it will be a fun celebration. We even found buffalo check tote bags to give to his Scouting buds for their Scout Books and Scout gear. Too much fun! #1: If you have a cat, don’t leave the stamparatus open and unattended. Cats think the rubber mat is a marvelous scratching pad! For Joseph’s Birthday Card, I used a partial CASE of a Tina Rappe layout. 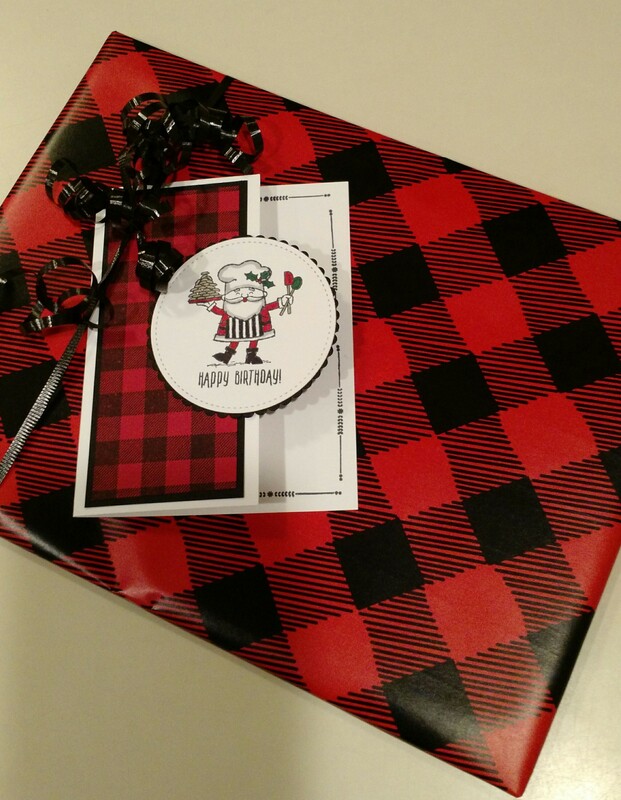 I was even able to find matching buffalo check wrapping paper. Three cheers for The Party Store! The card uses the So Santa stamp set, and I used the long “arrows” from the Warm Hearted Hostess Stamp Set to create a border on the inside of the card.